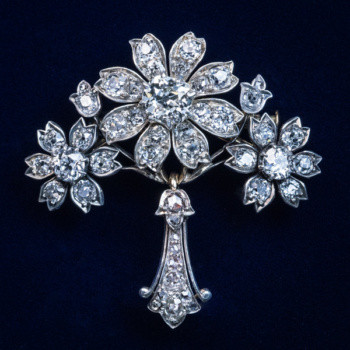 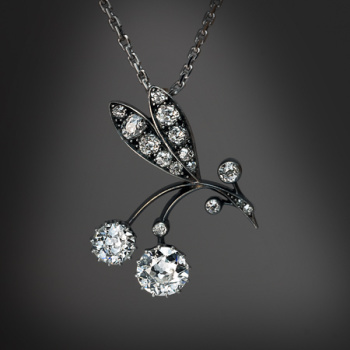 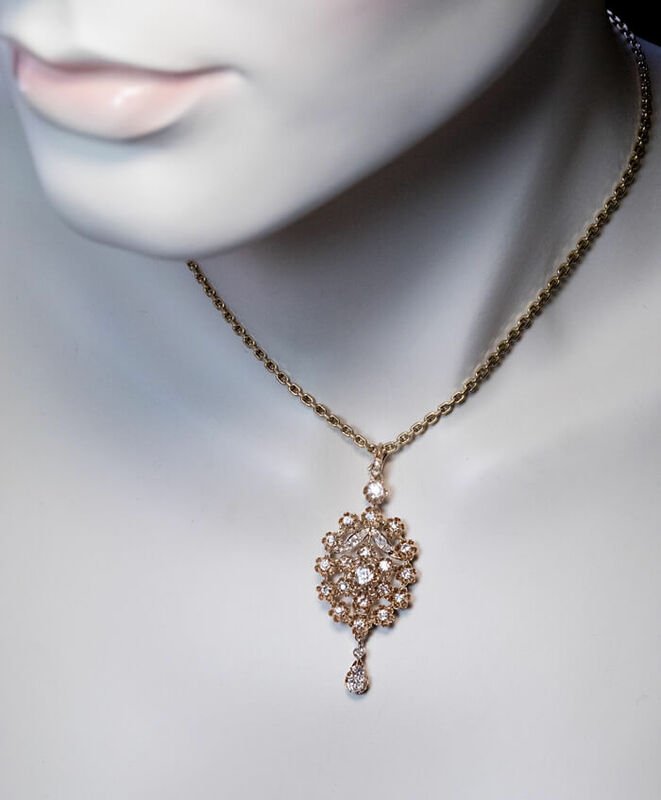 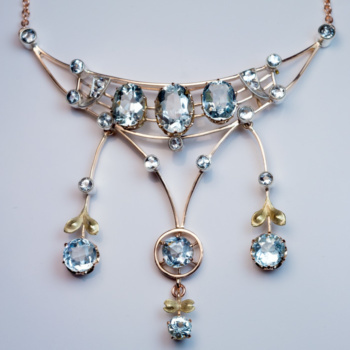 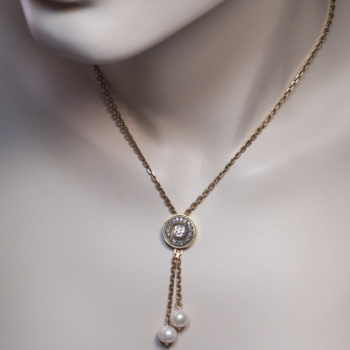 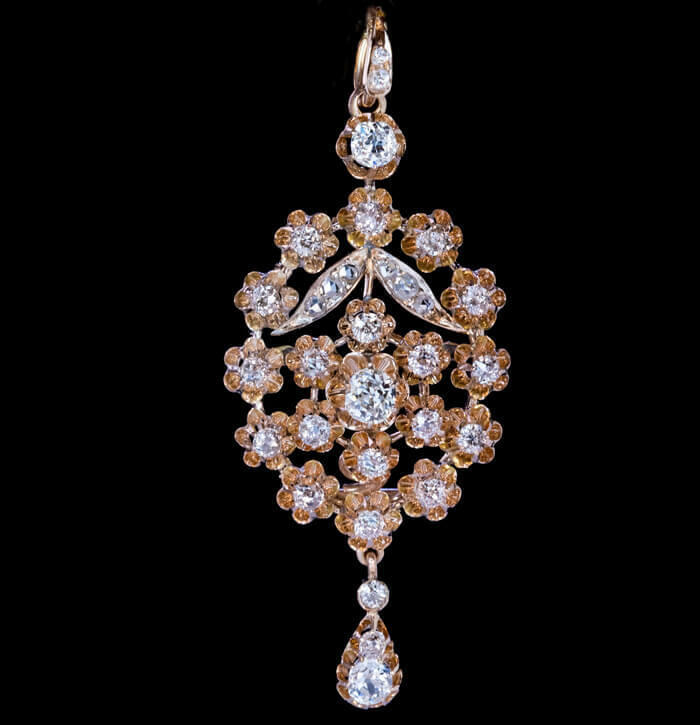 A 14K gold pendant – brooch of a floral design is embellished with bright white old cut diamonds. 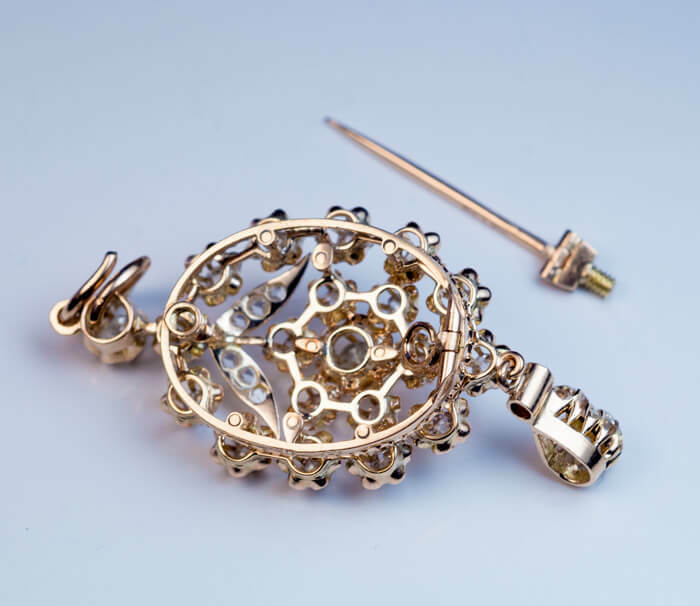 The pin and bail are detachable and it can be worn either as a brooch or a pendant. 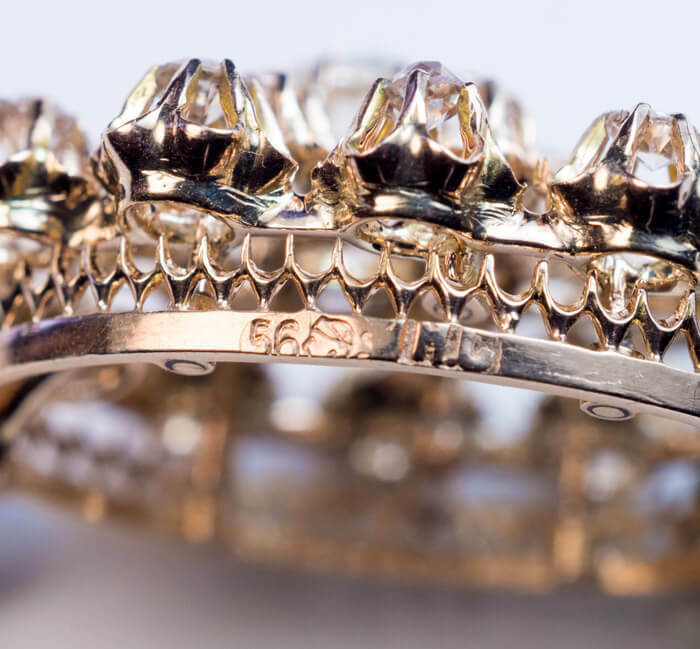 Marked on frame, bail and pin with 56 zolotnik Imperial gold standard, 1899-1908 assay mark with initials of Moscow assayer Ivan Lebedkin and maker’s initials.